You are really hard on yourself. Mine would look like yellow circles. You definitely have an eye for it. My mom loves to paint, too. You should share tips. I remember your mom’s paintings. She was already doing amazing things when we were in high school. I’ll bet she would have some good tips. I love your new goal, and look forward to seeing lots of paintings! 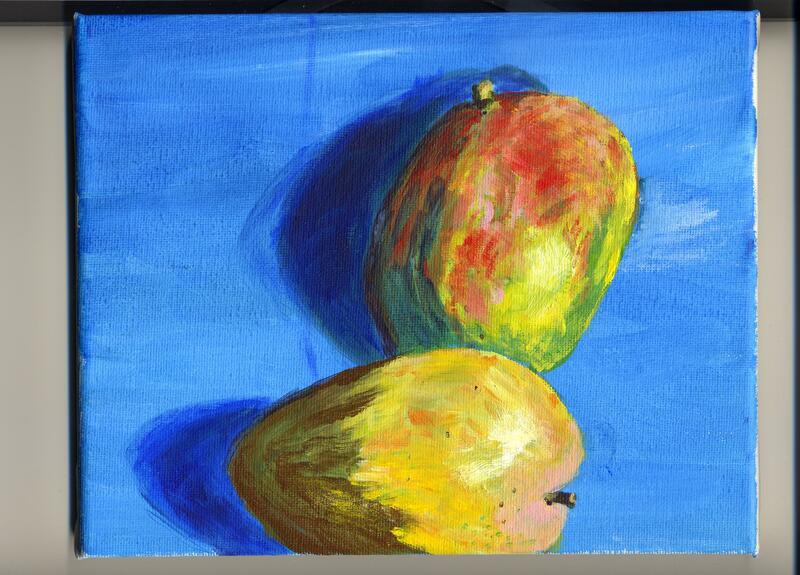 The mango painting is great. They look exactly like mangoes, and you captured the color on the top on really well! Thank you, Grace. I am a bit nervous about this new goal and I appreciate your support.